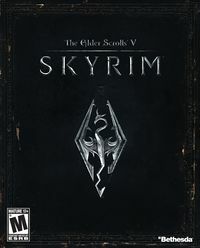 The Skyrim Game Manual is the instruction manual included with The Elder Scrolls V: Skyrim. The manual gives basic instructions to gameplay mechanics. It can be downloaded here. The Legendary Edition version of the manual explains how to start each of the Add-Ons before the Table of Contents. The Special Edition version of the manual is a two-page pamphlet only providing gameplay controls and technical information. Screenshots in the manual shows the player-character is a Nord named Bendu Olo. This page was last modified on 27 August 2018, at 12:35.